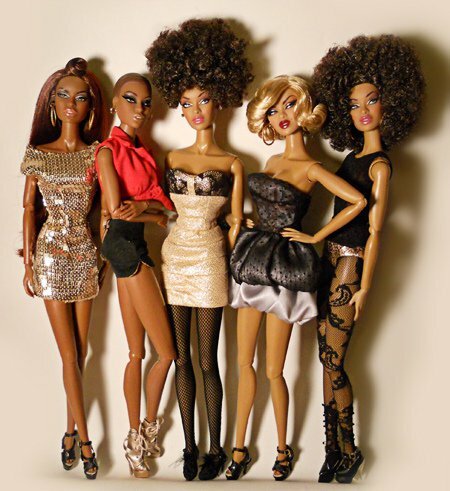 ← Tyra wearing her "natural" hair..
Olive oil is more than a cartoon character, historic symbol of peace and glory or food staple of the much-vaunted Mediterranean diet. It is actually tremendously useful stuff, finding applications in personal care, home improvement, green cleaning, natural remedies and other areas. It’s long been reported that there are a number of health benefits of olive oil. As a foodstuff it has a high concentration of monounsaturated fatty acids, which studies show promote “good” cholesterol (HDL) while lowering “bad” cholesterol (LDL). 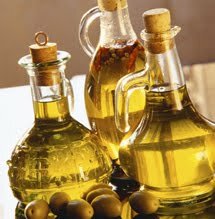 Olive oil is also known to be gentle on the digestive system, and even may help prevent gallstones and soothe ulcers. Good quality olive oil contains valuable vitamins and nutrients, and it is loaded with antioxidants, which many believe help protect the body from cancer. These days there are an increasing array of organic and boutique olive oils offered for sale, some of them quite pricey. In general, the less processed an oil the more nutrients it contains, although the more expensive it tends to be. “Extra virgin” olive oil comes from the first pressing of olives, and retains the most flavor and aroma. Most better brands are also advertised as “cold pressed,” meaning they aren’t heated up beyond room temperature during processing. Unsurprisingly, high heat can damage the flavor and nutrients in the oil. “Virgin” olive oil generally comes from the second pressing. Cheaper brands sold as “regular” or “pure” olive oil are made with chemical refining and filtering, which standardize and neutralize flavors and acid contents. They have lower nutrient levels as a result. To help protect the fragile environments of the Mediterranean and elsewhere, it’s a good idea to buy organic olive oil when you can. It also will tend to be of high quality and flavor, great for spaghetti, oven-roasted vegetables, fresh salads and many other dishes. People have used olive oil for centuries for personal care. It is a great skin moisturizer, in part because it contains linoleic acid, a compound not made by the body, but which prevents water from evaporating. According to Leslie Baumann, M.D., author of The Skin Type Solution, consuming olives and olive oil can promote healthy skin, as can applying it directly as a moisturizer. You can also add a bit of olive oil to a warm bath for a good healthy soak. 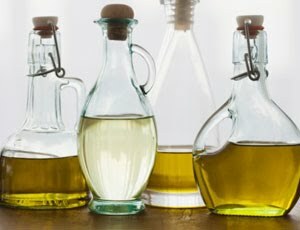 Some of the most exciting news, according to Baumann, is that olive oil also contains at least four different antioxidants, which can help “neutralize damaging free radicals that can lead to skin aging and skin cancer.” Baumann writes that in studies mice that drank extra virgin olive oil developed less skin cancer after exposure to UV light. Olive oil can also provide a safe and natural lubricant for a close shave. As a soothing aftershave, rub in an extra teaspoon of the stuff after rinsing off. In fact, some products from The Art of Shaving are based on olive oil. Similarly, olive oil can soothe chapped lips. 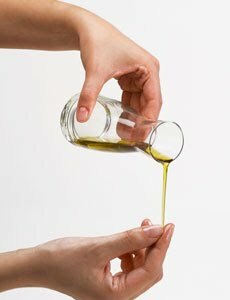 Make your own balm by mixing olive oil and melted beeswax in a 1:1 ratio (add an essential oil if you want a nice fragrance). According to the handy new Website AltUse, you can moisturize your cuticles by soaking in olive oil mixed with water, or apply olive oil directly to cuticles before applying polish or buffing nails. Olive oil also has benefits for hair. Comb a bit of the stuff through dry or frizzy hair to help tame and moisturize your locks, especially in winter or on humid days. Olive oil can also provide some relief for damaged hair. In his new book Clean Body, Zen Cleaner Michael de Jong suggests treating your tresses by kneading a few tablespoons of olive oil into your scalp and hair. “Swathe your oiled-up curls with a shower cap and take a thirty minute breather…snooze, toss back a latté, whatever. Then just shampoo as usual to reveal a refurbished mane that even Fabio would envy,” he writes. Kitties aren’t the only ones who can take advantage of natural lubricating properties of olive oil (yes it can be used as a “personal lubricant,” in case you were wondering). And according to AltUse, taking a sip of olive oil before heading to bed can help lubricate your throat muscles, cutting down on snoring. We won’t tell if you drizzle some extra olive oil on Grandma’s salad the next time she comes to visit! Others have noted that downing a teaspoon of olive oil can help soothe a scratchy or ticklish throat. Silverware, copper and other metal items can be polished with ketchup or toothpaste. After you’re done rub a bit of olive oil on to prevent streaks, corrosion and tarnish. According to Michael de Jong, to polish your desk, use two parts olive oil mixed with one part lemon juice. There are few things more annoying than stuck zippers (remember that episode of Seinfeld when George visits his therapist?). So if you are vexed by this particular problem, break out the olive oil. Swab some of the stuff on the teeth of the zipper, then try gently easing it unstuck. Good luck! Olive oil can actually be used as a lubricant in many applications. It’s safe to keep around the house, so you don’t have to worry about children or pets getting into it. Try it out on squeaky doors, hinges and anywhere else you might consider using WD-40 or another lubricant. While WD-40 may work well, it’s also based on hydrocarbons, so anytime we can use less of those we’re taking a step toward a cleaner world. Some folks also swear by the alternative health treatment ozonated olive oil, which is made by bubbling ozone into the oil until it forms a paste. The result is said to be good for soothing skin and promoting healing. We haven’t had a chance yet to try it for ourselves, but if anyone has any experience with it let us know!